SingalR is a library which helps us provide real-time web functionality to our applications. This means that our server can push data to any connected client as soon as that data is provided, in a real-time, and vice verse. 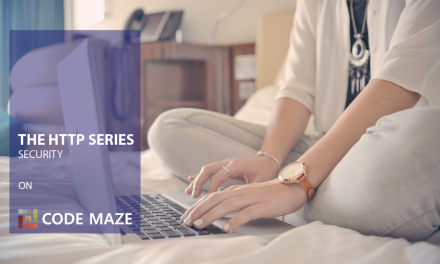 In this article, we are going to show you how to use SignalR with .NET Core and Angular through the practical example. 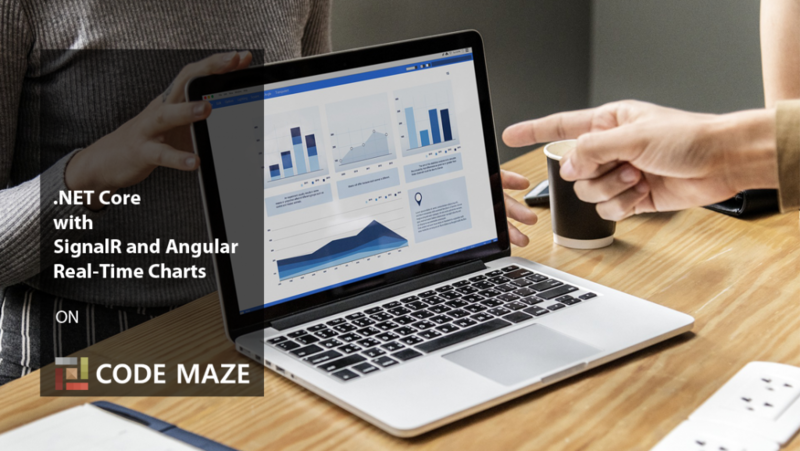 We are going to simulate a real-time data flow by using the Timer class in .NET Core and use that data to change states of our Angular charts in real time as well. For this example, we are going to use only one-way communication (from the server to the client), but we will add an additional feature to the example, to show the two-way communication as well (client-server-client). If you want to download a finished project, you can clone the repo from Real-Time Charts SignalR source code. Let’s create both the .NET Core and Angular projects. We are going to name them RealTimeCharts_Server and RealTimeCharts_Client respectively. For the .NET Core project, we are going to choose 2.2 version Web API empty project and for the Angular side, we are creating Angular version 7 with no routings created and CSS for the styles. 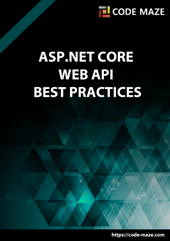 To learn more about .NET Core, you can read the .NET Core Web API Tutorial. For the detailed Angular development guide, you can read Angular Tutorial. Please note that we are not using the AllowAnyOrigin() method to enable cors from any origin, but we explicitly say which origin to allow WithOrigins(“http://localhost:4200”). We are doing this because in .NET Core 2.2 the combination of AllowAnyOrigin and AllowCredentials is considered as insecure CORS configuration while working with SignalR. 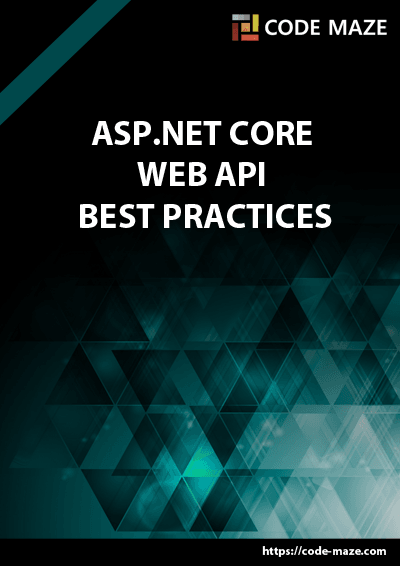 For a more detailed guide about the CORS in .NET Core, you can read Enabling CORS in ASP.NET Core. That is it regarding the configuration. Let’s move on to the next part. That is it for now regarding the client side. This form of data is expected by the Angular Charts library (which is yet to be installed), thus the model properties Data and Label. As we can notice, our ChartHub class must derive from the Hub class, which is a base class for the SignalR hub. But why do we need this ChartHub? Well, a Hub is a high-level pipeline that allows communication between client and server to call each others methods directly. So basically, a Hub is a communication foundation between client and server while using SignalR. Right now our ChartHub class is empty because we don’t need any methods inside it, yet. In the Configure method, we are adding SignalR to the IService collection. And in a ConfigureServices method, we are adding SignalR to the request pipeline by pointing to our ChartHub with the provided /chart path. We are using an Action delegate to execute passed callback function every two seconds. The timer will make a one-second pause before first execution. Finally, we just create a sixty seconds time slot for execution, to avoid limitless timer loop. If you want to learn more about delegates and how to use them to write better C# code, you can visit Delegates in C# article. It is important to have a method which has one object parameter and returns a void result. The Timer class expects that kind of method in its constructor. In this controller class, we are using the IHubContext interface to create its instance via dependency injection. By using that instance object, we are able to access and call the hub methods. This is the reason why we don’t have any method in our ChartHub class. We don’t need any yet, because we are providing just one-way communication (server is sending data to the client only), and we can access all the hub methods with IHubContext interface. Furthermore, in the Get action, we are instantiating the TimerManager class and providing a callback function as a parameter. This callback function will be executed every two seconds. Now, we have to pay attention to the _hub.Clients.All.SendAsync("transferchartdata", DataManager.GetData()) expression. With it, we are sending generated data to all subscribed clients on the transferchartdata event. This means that every client if it has a listener on the transferchartdata event, will receive a data generated by the DataManager class. And that is exactly what we are going to do in the next section. We have currently finished our work on the server side, so let’s switch to the client side. Of course, the HttpClientModule is not required for the charts to work, but we are going to send the HTTP request towards our server, so we need it. First of all, we create the data array which will hold the data fetched from the server and will provide a data source for the chart. In the startConnection function, we build and start our connection as well as logging the message in the console. Finally, we have the addTransferChartDataListener function in which we subscribe to the event transferchardata and accept the data from the server with the data parameter. If we take a look at the Get action in the ChartController file, we are going to see that we broadcast the data on the same transferchartdata event: (_hub.Clients.All.SendAsync("transferchartdata", DataManager.GetData())). And yes, those must match. This logic is straightforward. We just start the connection, add our listener, and send request towards the Get action on our server. Excellent. We can see that our data is received in a real-time and logged in the console window. Of course, this is just part of our goal, so let’s get to the finish line. This looks great. Our application is working as intended. Until now, we’ve broadcasted data only from the server to the client (one-way communication). But what if we want to send some data from the client to the server and then to broadcast it to all the subscribed clients (all of that via SignalR)? Well, we can do that as well. So let’s imagine that we want to send the current data to some API as soon as we click on our chart, and then to display them on any other client. To cover that example, we could create another Angular app, but for the sake of simplicity, we are going to implement all of that in our current app. Because we are starting the SignalR communication from the client, we need a hub endpoint to Invoke our data to. This BroadcastChartData method will receive the message from the client and then broadcast that same message to all the clients that listen on the bradcastchratdata event. The first function will send data to our Hub endpoint and the second function will listen on the braodcastchartdata event. Excellent work. Everything works like a charm. Of course, we can accomplish a lot more with SignalR and cover a whole load of features, but this is a good starting point for sure. This is the best article that I needed to be posted in years. Thanks for the effort. Thank you a lot David. It is always great to hear something like that from a reader. Hope you will find some of our other articles useful as well. All the best. When writing clean code, should my SignalR project be included in the presentation layer? Hello Michael. Well, when you work with the signalR (as you can see that from this article) you have different layers involved into complete logic. When you have .NET Core Web API as a server side and Angular as a client side project, your presentation layer is angular components and templates together and this is no place for signalR logic. As you can see from this article all the signalR logic is placed inside a service which is a service layer together with controllers from .NET Core. So to answer your question, no you shouldn’t place signalR logic into the Presentation layer. That layer should only receive required data and show it to the user or collect users input and provide it to the service layer to be sent towards the server side. Access to XMLHttpRequest at ‘https://localhost:44336/api/chat/negotiate’ from origin ‘https://localhost:44374’ has been blocked by CORS policy: Response to preflight request doesn’t pass access control check: The value of the ‘Access-Control-Allow-Origin’ header in the response must not be the wildcard ‘*’ when the request’s credentials mode is ‘include’. The credentials mode of requests initiated by the XMLHttpRequest is controlled by the withCredentials attribute. Hello. Well, this is the CORS error for sure, but it is very strange that you are having one if you have followed all the instructions from this article. Please double check the CORS implementation in the ConfigureServices method and in the Configure method. For example, when I comment out the app.UserCors(“CorsPolicy”) line from the Configure method, I am getting the same error as you are having, and this is expected. But as soon as the comment is removed, communication works as it supposed to do. If you keep getting the same error, try to use our source code (just pay attention to the launcSettings.json file), apply it as in the article. Hello mate. If you still having the same problem and you are using .NET Core 2.2 version, then the problem is because we are configuring CORS with the AllowAnyOrigin and WithCredentials methods. This is now fixed in this article as well. In all the previous versions this would work without any problem, but in 2.2 version, they have decided that combination of those two methods are security risk while working with the SignalR. So, what you need to do is to replace the AllowAnyOrigin with the WithOrigins() method. Please take a look, how we did it in the article. Hope this will help. All the best. The angular files at github do not seem to match this article at all, think they are missing a commit or something. The server side seems correct though. Hello JT NIchols. Thank you for your suggestion, you were right, I haven’t committed the final change on the client side project. Now all should be fine. Sorry for this issue, it happens. Thank you one more time. I tried this example , and when i run the server it shows 404 error. Hello. Please go back to the article and follow it thoroughly. Even though I wrote this code and checked so many times, I did it one more time now, and everything works as it supposed and as it was stated in the article. Check your launchSettings file as well. Also pay attention to the way you enable CORS on the server side. in the angular service file (signal-r.service.ts) change the ‘transferchartdata’ to ‘TransferChartData’ it worked for me…. Hello there. Just wandering. I am not going to use .Net Core but the regular .Net 4.6.2 with the ASP.NET SignalR. Will this work the same? Thanks for a very Good article. I’ve enjoy read it and code along…… 5-stars!! Thank you very much Miko. And thank you for helping other readers as well. It’s a real interesting article and it covers a lot of useful aspects of SignalR. However, and since I’m new to this, I was wondering how the conversation between specific users work. In this example, anyone will receive the same data whenever it changes, but what if I want to send that to a specific logged in user for example? Where should the logic stand? Hello. Well the SignalR works on top of sockets, which means that any client subscribed on a topic will receive data from a server on that topic. But if you don’t want your user to receive that data, you just don’t allow him access to the certain page in your app (client side), where the data is shown. 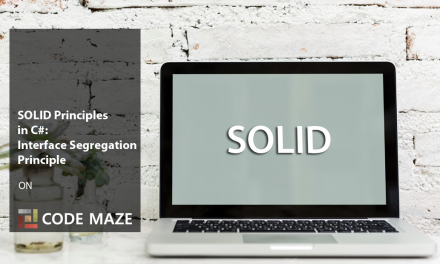 In this article, we have done it all in the app component, due to the sake of simplicity, but in a real word app, you would just open connection in the app component, and subscribe to the topic in some other component. Hi,I have created an dashboard application using signalr, .net core and angular to fetch data from the database for every 20 seconds using your article. But my timer action is throwing error like( cannot access a disposed object. you should let the dependency injection ). if i’m using the static data it’s working fine. But if i try to get the updated data from the database. it throwing error. How can i solve this issue? I am pretty sure that your problem lies in the fact that you are manually disposing your context. Don’t do that. Register it in the IOC in the Startup class and remove any manual disposing. .NET Core is going to do disposing for you, that’s why you are getting such an error message. using startup class to register. Ok, so could you try then one more thing. Timer works in threads and if you are working with IEnumerable data then this could be a problem as well. Try to use ToList() on your returned data, to see if this solves the problem. Thank you so much for this article! It was very helpful. I have the first half of the app working (client receiving chart data from service). When I refresh the page though, I’m getting twice as many chart data notifications. I think this is because, even after a refresh, some kind of connection between the service and app is not terminated. Refresh 3 or 4 times, and the app is receiving 4 separate events for the same data change. How might this be resolved so that, even when the client is reloaded in the browser, it only receives one event notification per chart data change? Hello Aundra. Thank you, we are glad this article helped you. About your issue, it is related to the timer implementation on the server side. You shouldn’t worry about it, because I have used timer just to simulate data provision and nothing more. In a real world app, you will fetch your data in a different way for sure. So, there is no ongoing connections after you refresh the client side, SignalR reconnects for sure. Kind regards. What a relief! Thank you for the prompt reply. Don’t think I understood the timer section… In a real world scenario, how would the pooling work? Like… In your example, you close the connection after 1 minute with _timer.Dispose(), should I, in the client try to reconnect every 1 minute too, to keep the connection alive? The timer is only here to simulate data provision nothing more, I disposed it just for example sake nothing more. In a real world example you would probably have an API that would provide you with data. Or your app will notify the client as soon as something changes. There are a various situations to use signalr. And no, you don’t need to reconnect your client. Wonderful article. wondering if you can add interaction with db etc? How do u address disconnect issue? Hello Jason, thank you for your comment. About db interaction, we can add something like that, but we would gain nothing. Simply because SignalR has nothing with db, it should be a tool to notify a client in a real time (when ever you think this is necessary) and that is all. I believe this is well explained in this article. Addressing disconnecting issue is a good idea though. Hi, Thank you for sharing. Great work! I’m getting Cannot GET / error when I run my client. My port number for my client is 44372 and server is 52445. I’m getting errors when i try to change my launchSettings.json file. Hello Reagan. Could you check our source code and try comparing it with your solution, that way you can see what is wrong. It is really hard for me, based on your comment, to assume what is wrong with your code. Maybe it has something to do with the HttpClient module, because you have only one Get request in your project. Hello. 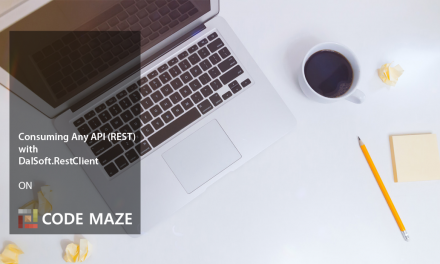 Check if your array, required to populate chart with data, is initialized with empty array prior the http request. It seems as the chart is using a variable as a data source, which is not initialized as an empty array at a beginning.